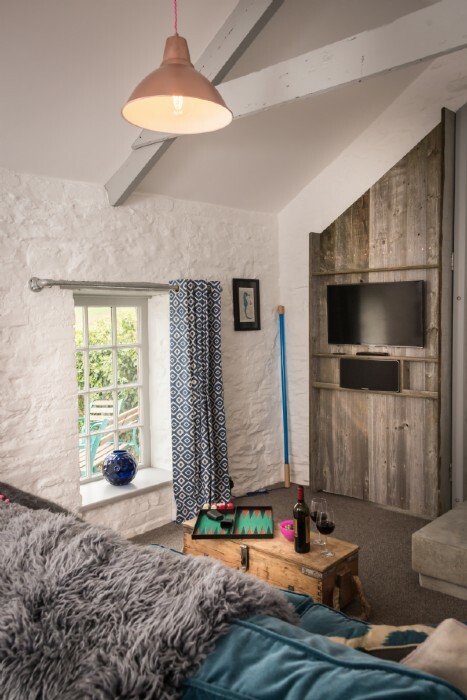 Escape to Libertine; a luxury self-catering cottage close to Perranporth beach and Goonhavern on the north Cornwall coast. 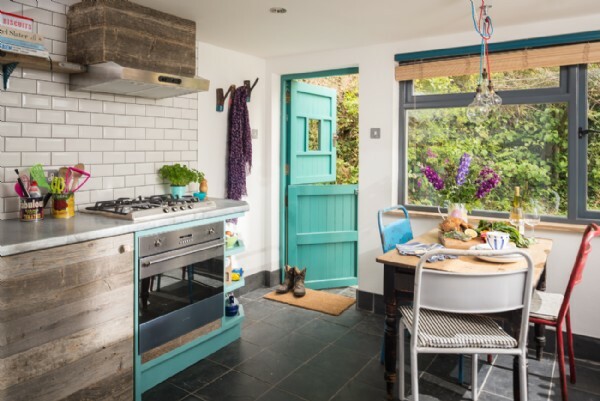 A wonderfully secluded and stylish retreat for the city surfer, this fashionista’s cottage is sublimely positioned amidst a peaceful milieu of pretty woodland and is within easy reach of Cornwall's finest surf breaks. 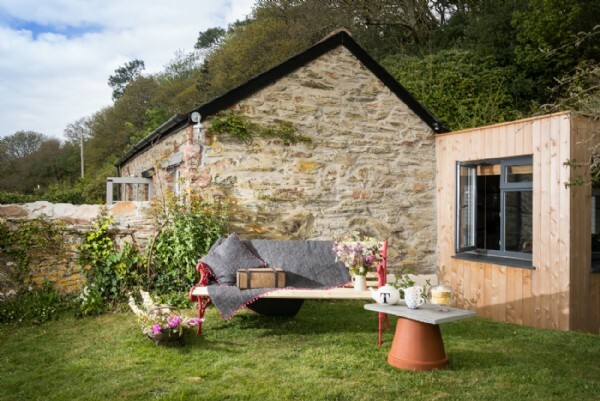 Once home to three little pigs, this 1860's Cornish piggery close to Perranporth beach has been transformed into a luxury self-catering cottage with ultra stylish interiors. The traditional stone and cedar-clad exteriors conceal the infusion of modern features and fluorescent flourishes inside. 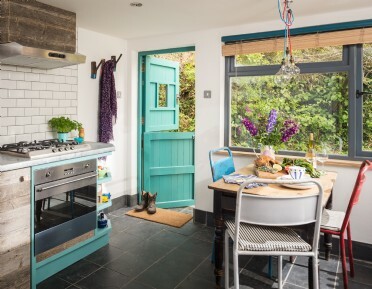 From the industrial-inspired zinc kitchen with metro tile splashback, to the flashes of neon and royal blue velvet in the living area, each room has been given an injection of electric romance. 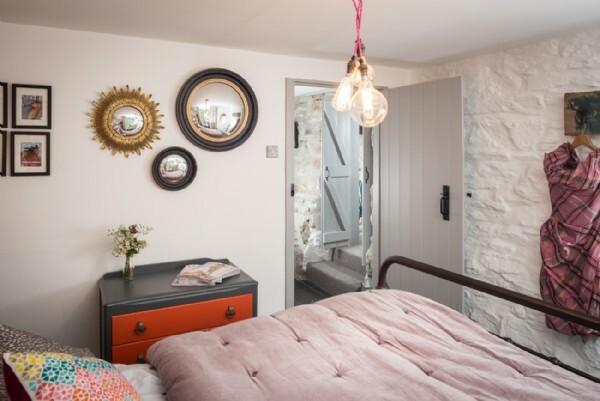 In the double bedroom crisp linens, white stone walls and exposed pendant bulbs invite you inside to lose yourself in the luxury of this lavish and luminous space. 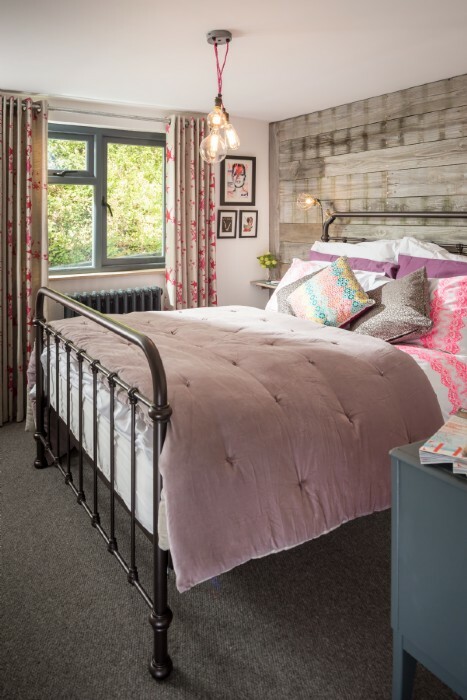 The bronze Victorian bed boasts hand-printed Egyptian cotton sheets, with pops of pink and playful pastel accessories making early nights and lazy lie-ins all the more tempting. 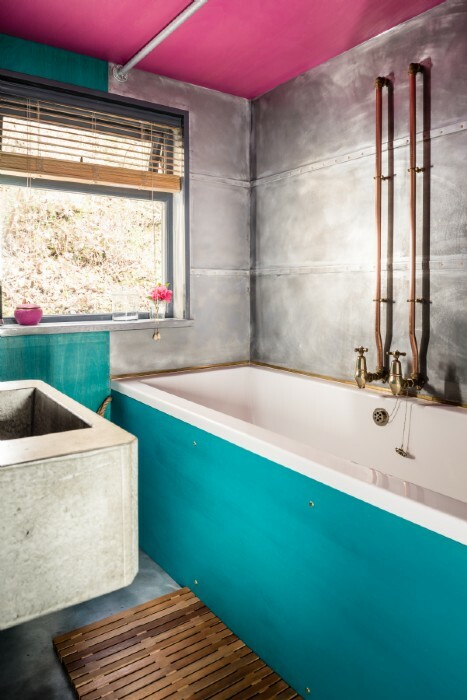 Opposite is a stylish bathroom complete with WC, bathtub and powerful solar-heated shower to exhilarate weary bodies after long country ramblings. 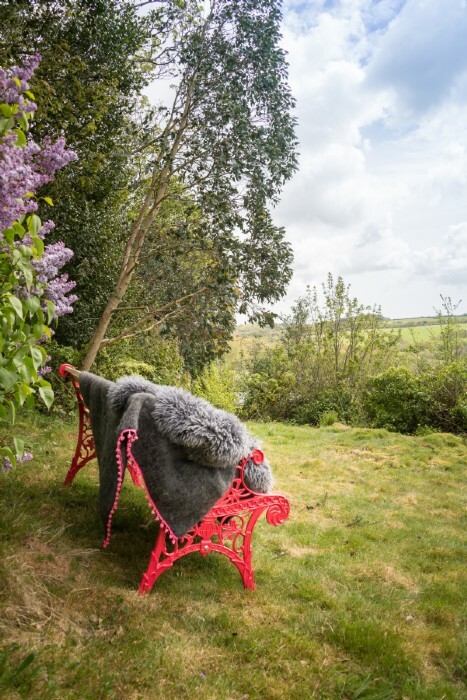 Libertine's private surroundings are ideal for unwinding and al fresco dining. 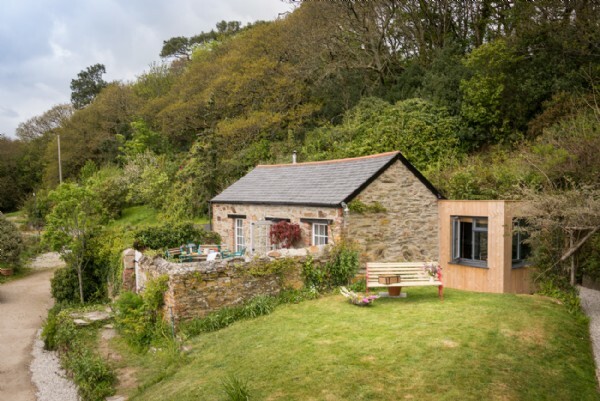 This south-facing hideaway hunkers down below acres of woodland, and the close proximity to the coast makes the cottage perfectly positioned for saltwater adventures. 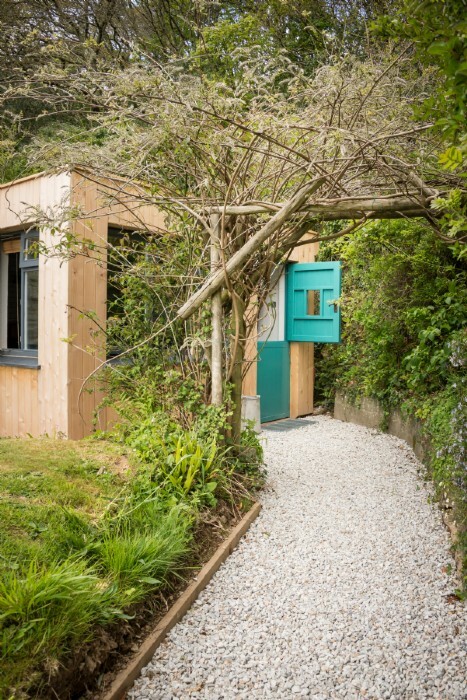 Discover your own private wilderness behind the cottage by following steps to the secret garden and enchanted wood of bluebells and wild garlic beyond. 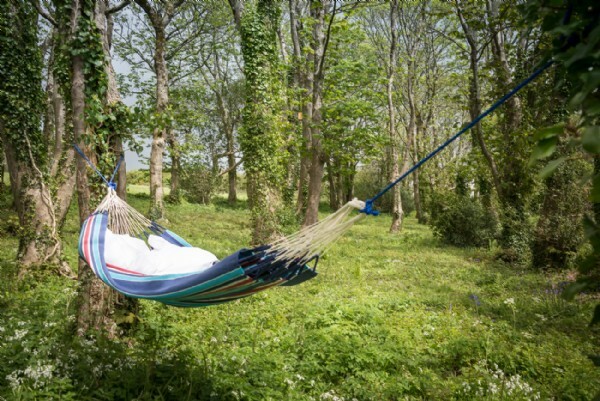 Wind down the path to the hammock where you can truly immerse yourself in the countryside; sway in the breeze, absorb the panoramic pastoral vistas and let the soft moos of the distant cows lull you into an afternoon siesta. 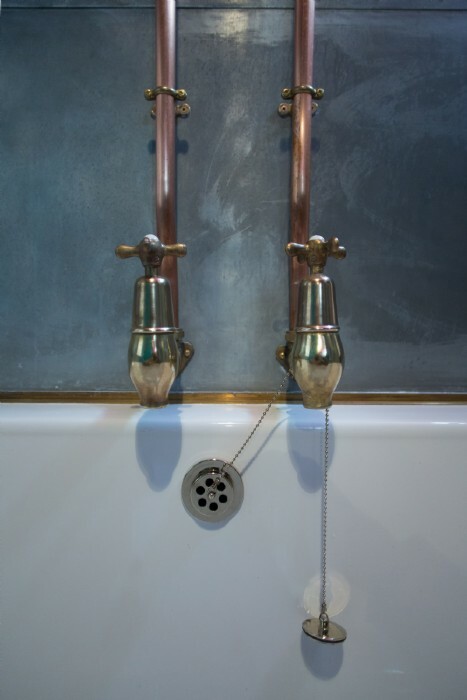 Unravel the beauty hidden in all the nooks and crannies of Libertine’s Beatrix Potter-like location starting straight from the front door. 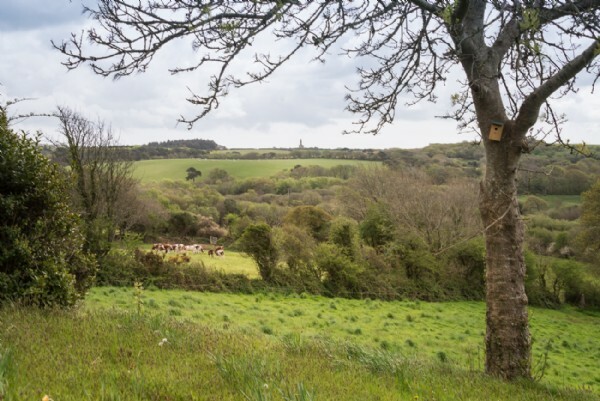 With an abundance of footpaths, bridleways and green lanes to choose from, the opportunities for exploration are endless. 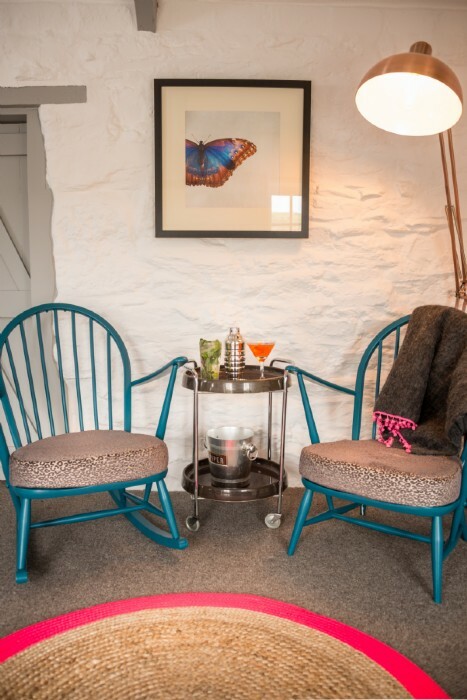 Muddle together fresh mint and lemons and make ice cold mojitos to savour in the courtyard on a starlit night, before surrendering to the gorgeously plump cushions in the living room. 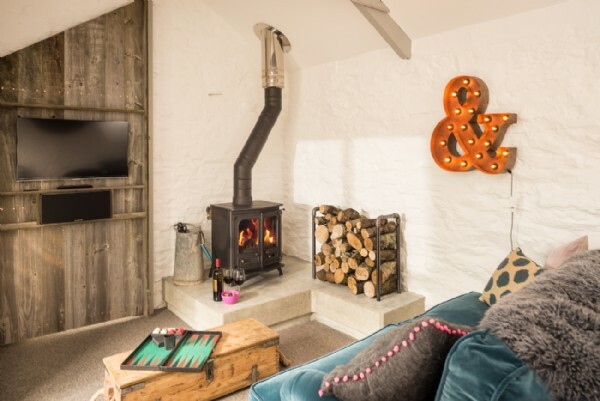 Challenge your partner to a board game or simply kick back by the glowing log burner. There is parking for two cars directly outside Libertine. 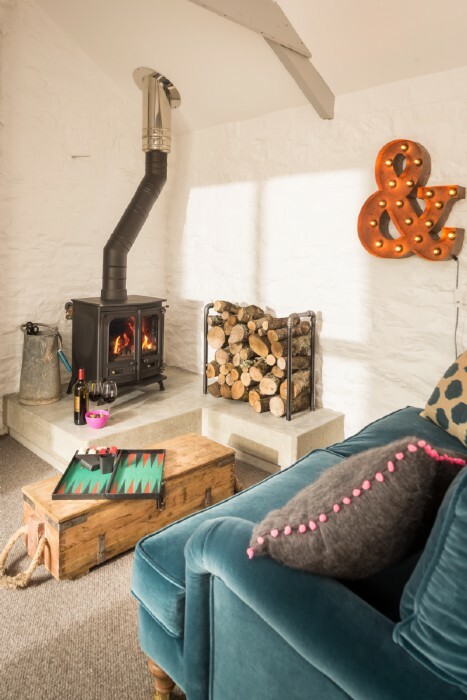 Heating is solar-powered, and there is a wood burner to keep guests cosy in winter months. 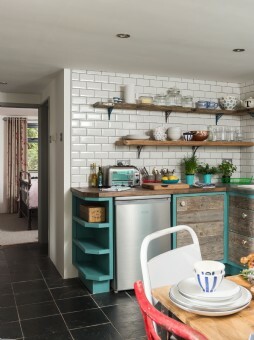 The kitchen features a washing machine, fridge freezer, microwave, electric oven and gas hob. The owners live nearby. 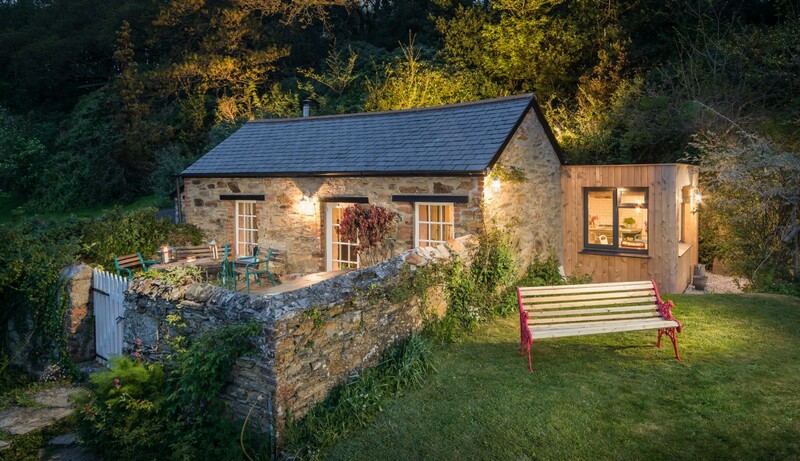 Style: This urban cottage juxtaposes its whimsical woodland setting in the most perfect way. 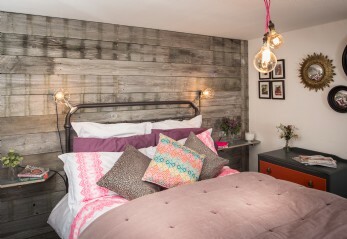 Exposed bulbs and fluorescent flashes add an underground vibe, softened by shabby sheepskins and leopard prints. We found this spot whilst out getting thoroughly lost one day and we both immediately fell in love with it. 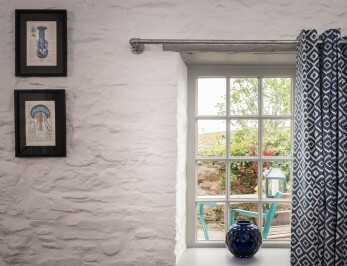 Being an ex-fashion buyer, renovating the piggery gave me a chance to indulge in my love of fabric, print and colour. 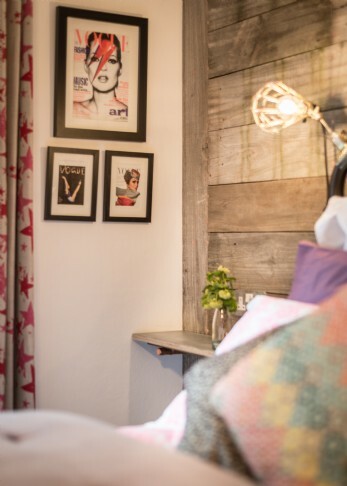 We hope each guest enjoys their stay as much as we love living here. 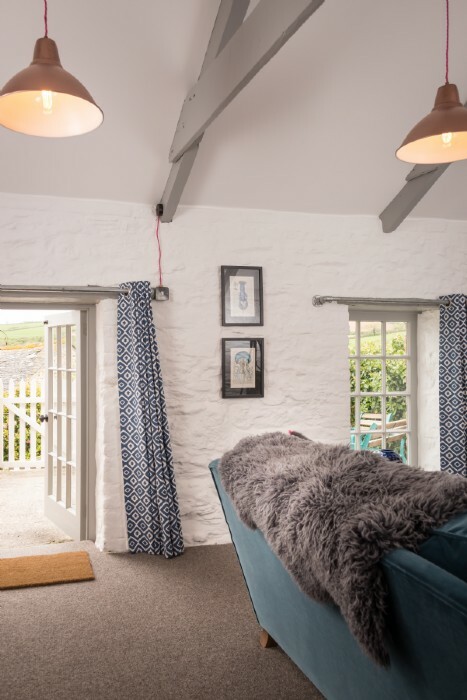 Discover places to see and things to do whilst in and around Goonhavern, Cornwall to truly enhance your stay come rain or shine! 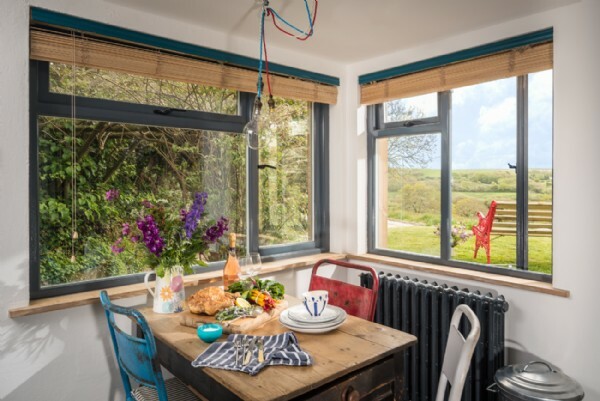 Trailblazing The coastal parish of Perranzabuloe sits just south of Newquay, with brilliant displays of arable flora in summer when whole fields come alive with scarlet poppies and rare meadow plants. 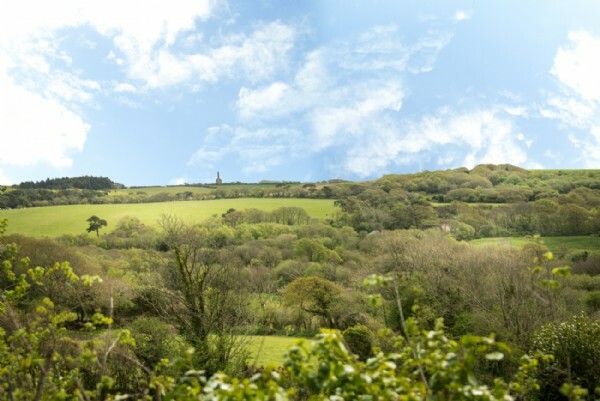 The coast path here is breathtaking, meaning avid walkers will be in their element! Saddle Up Enjoy country hacks and beach gallops with one of the friendly local riding schools. Reen Manor Riding Stables comes recommended with its variety of horses, lessons and booking options available to suit all abilities. 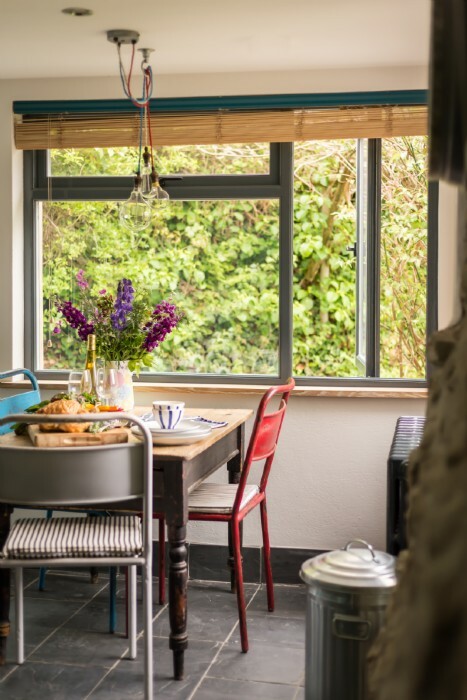 Trendy Truro Tour Cornwall’s ancient capital; this trendy city is rich in history and at the heart is a stunning three-spired 19th century cathedral. Lose yourself on Lemon Street admiring local art displays and gorgeous Georgian architecture. Also home to some seriously good coffee houses, be sure to sample an espresso or two between shopping sprees. 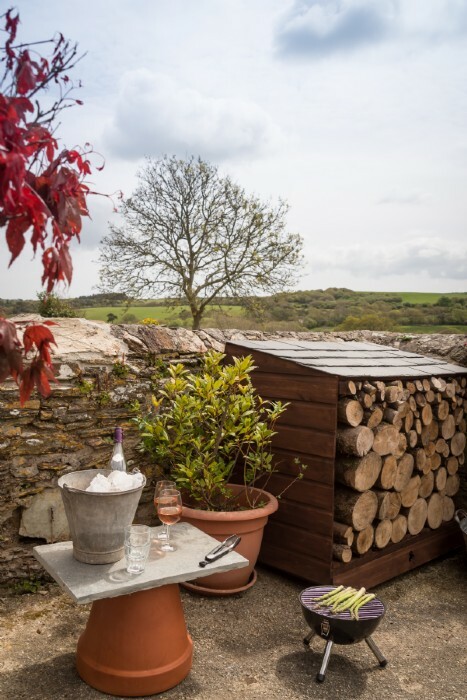 Apples and Pears Head to Healey’s Cornish Cyder Farm for a sample tasting tour of their scrumptious award-winning cider, lovingly picked and pressed from the apple orchards on site. 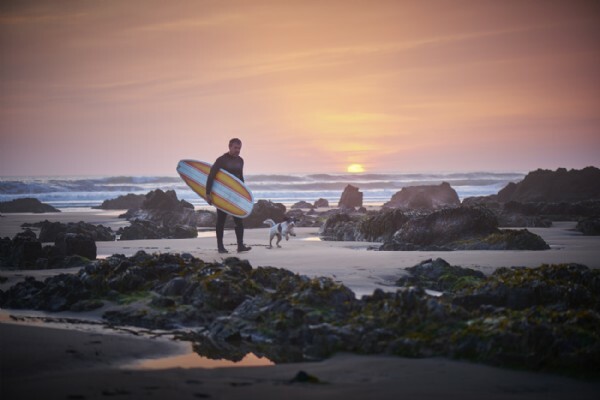 Paddle Out With some of the finest surf breaks the South West has to offer, the north Cornwall coastline is the perfect place to take to the water. 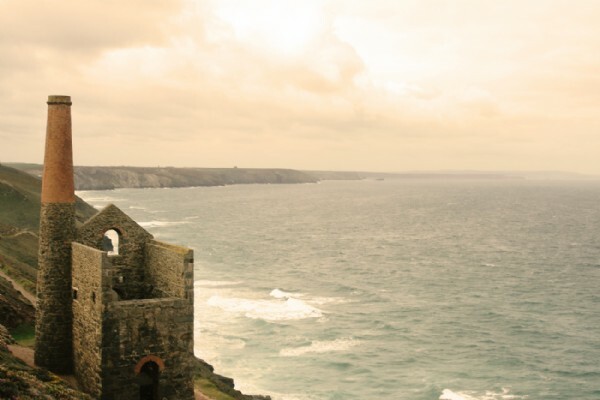 Perranporth, St Agnes and Holywell Bay all offer one-on-one tuition, so you don't have to be a pro to take part in the county's favourite sport. 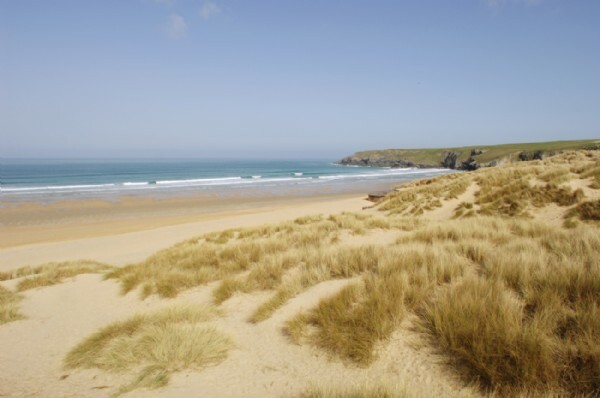 Nearest Beaches Perranporth Beach is three miles away which at low tide opens up to three golden miles of sand onto Penhale Sands, and there are many more secret beaches to explore such as Chapel Porth and Trevaunance Cove. 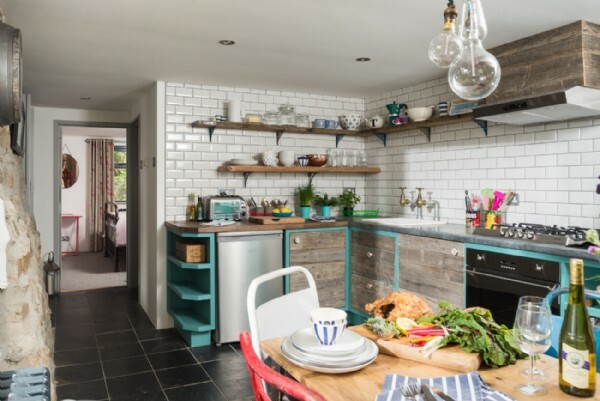 The light-filled urban-style kitchen has all the necessities needed for two. The day boat fisherman in St Agnes sell lobster, crab and line caught fish, and Carr Butchers around the corner is a great choice for local meat. 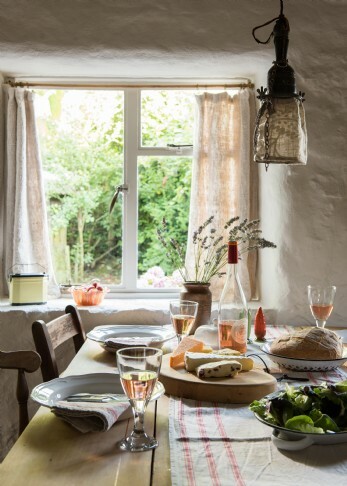 With first-class bakers and greengrocers adding to the list of local food suppliers, it’s not hard to find fresh farm produce nearby. 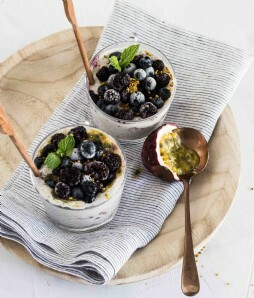 If you'd rather spend your romantic self-catering break indulging in the little luxuries, let an in-house chef prepare a mouth-watering meal for you and your partner (on prior request and subject to an additional cost). 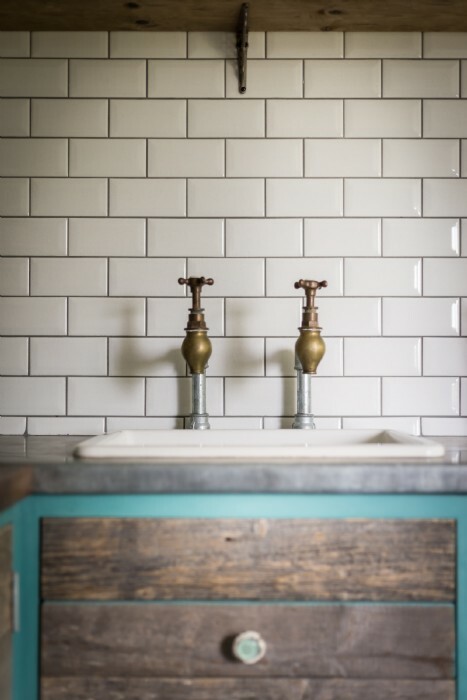 For a cosy country pub which oozes old-world charm, don your walking boots and head through the country lanes to The Bolingey Inn, approximately half an hour's walk away from the cottage. 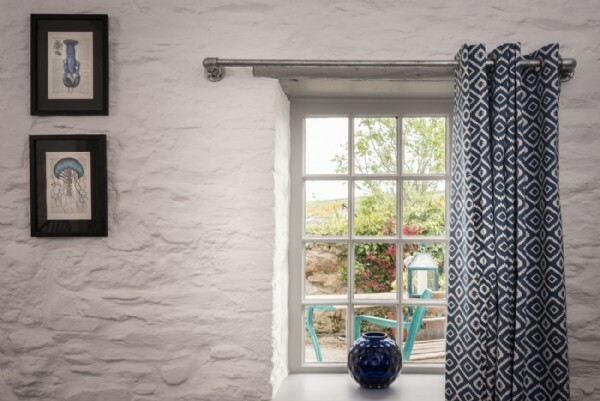 For a more refined menu, choose No 4 in St Agnes, but be sure to book ahead. 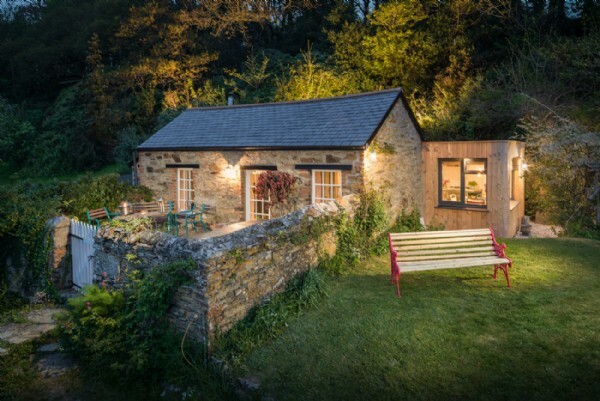 Those lucky enough to stay during one of Nancarrow Farm's monthly feast nights are in for a real treat - these are not to be missed!